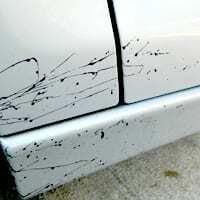 Tar and tree sap can ruin a vehicles finish. Our removal process ensures that your vehicle’s paint and other surfaces are not damaged while removing these contaminants. The longer tar and tree sap sit on your vehicle the harder they are to remove and the more damage they can cause. Call us today to your vehicle cleaned and protected.